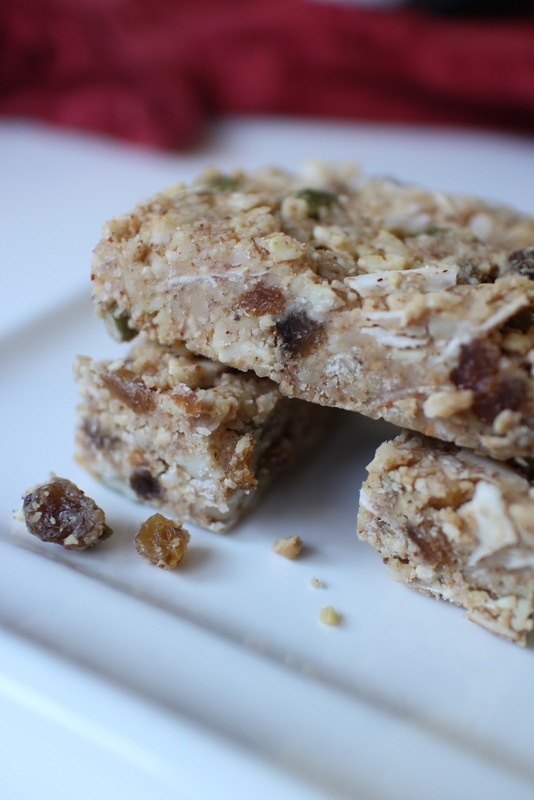 We absolutely love these paleo nut bars. They are super healthy - full of fibre and good fats and just one of these in the morning will keep you going until lunch. They also make the perfect afternoon snack. They literally take only minutes to prepare and store for up to a week in the fridge. Preheat the over to 160'C and line a baking tray with baking paper. Place all the nuts on the baking tray and roast for 5 minutes until golden, set aside to cool. ( If using activated nuts, simply omit this step). Transfer nuts to food processor and pulse a few times until coarsely ground. Place nuts in a large bowl, then stir in the almond meal and shredded coconut. Melt the coconut oil and almond butter in a small saucepan over the medium heat. Add the honey, vanilla, sea salt and stir until combined. Pour the honey mixture over the nut dry mixture, add all the dried fruit and mix until well combined. Spoon mixture into a prepared tray and smooth out using the back of a wooden spoon or a palette knife. Refrigerate for 1 -2 hours. Once set you can cut into slices or bars.